We went for a small cruise along the Geirangerfjörden during our holidays in Norway. Following the ferry, were a bunch of seagulls waiting for biscuits from tourists. So, here was this bird above the upper deck, waiting for the best opportunity to come closer and taste some food. 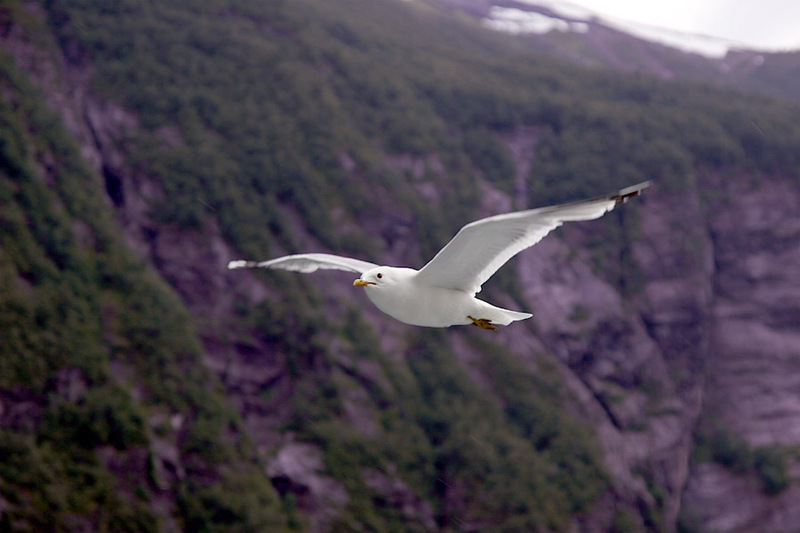 Great shot of the seagull -flying birds are hard to get right, especially white ones! Love the background too; almost purple!